An algorithm in a computer program. The concept of falling in love may be described as the result of a complex algorithm. A common example of an algorithm would be instructions for assembling a model airplane. Given the starting set of a number of marked pieces, one can follow the instructions given to result in a predictable end-state: the completed airplane. Misprints in the instructions, or a failure to properly follow a step, will result in a faulty end product. A computer program is another pervasive example. Every computer program is simply a series of instructions, which may vary in complexity, and is listed in a specific order, designed to perform a specific task. Mathematics also uses algorithms to solve equations by hand, without the use of a calculator. One last example is the human brain: most conceptions of the human brain define all behavior — from the acquisition of food to falling in love — as the result of a complex algorithm. Dynamic Programming Algorithms: This class remembers older results and attempts to use this to speed the process of finding new results. Greedy Algorithms: Greedy algorithms attempt not only to find a solution, but to find the ideal solution to any given problem. Brute Force Algorithms: The brute force approach starts at some random point and iterates through every possibility until it finds the solution. Randomized Algorithms: This class includes any algorithm that uses a random number at any point during its process. Branch and Bound Algorithms: Branch and bound algorithms form a tree of subproblems to the primary problem, following each branch until it is either solved or lumped in with another branch. Simple Recursive Algorithms: This type goes for a direct solution immediately, then backtracks to find a simpler solution. Backtracking Algorithms: Backtracking algorithms test for a solution; if a solution is found the algorithm has solved, if not it recurs once and tests again, continuing until a solution is found. Divide and Conquer Algorithms: A divide and conquer algorithm is similar to a branch and bound algorithm, except it uses the backtracking method of recurring while dividing a problem into subproblems. In addition to these general classes, algorithms may also be divided into two primary groups: serial algorithms, which are designed for serial execution, wherein each operation is enacted in a linear order; and parallel algorithms, used with computers running parallel processors, wherein a number of operations are run parallel to each other. Parallel algorithms also exist in the natural world in the case of, for example, genetic mutation over a species. How can I Learn How to get the Most out of my Computer? Can I get a difference between an algorithm and a class in pictures and explanations please? What are three ways to write algorithms and three types of instruction? What are the criteria someone needs to use in executing a problem in a flowchart or algorithm? I did not realize an algorithm was essentially a flow chart. response 251646: Good example that can be reversed. Some people and animals are tired and need body movement to energize and thus become really tired and sleep well. Isn't religion an algorithm of preferred response? I am a school girl and need info on an algorithm for using a CD (for my project). Your post was very useful. What is the importance of algorithms? write an algorithm for a program that prompts the user to enter five test scores, calculate the total of the five tests and find the weighted average of each test assuming that each tests weighs 20 percent. Can you give the difference between the brute-force algorithm and the greedy algorithm? Can you give an example of an algorithm please? 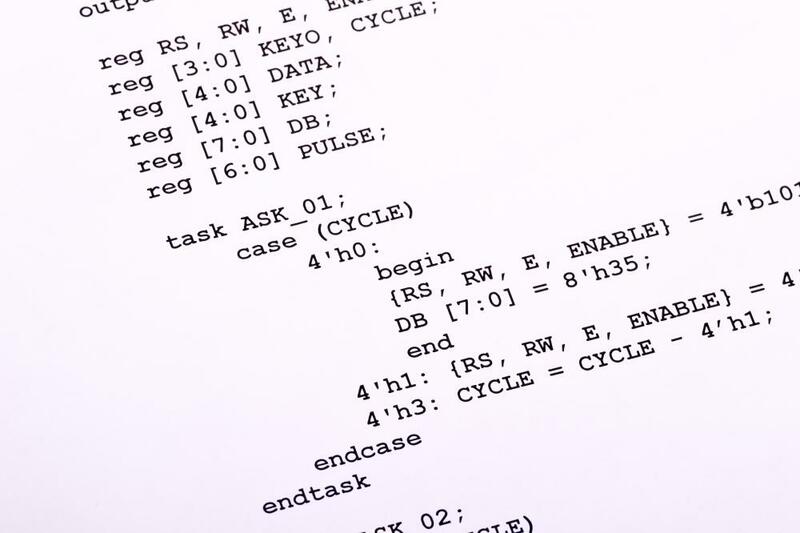 what is the difference between an algorithm and pseudocode? please explain with examples. I just want to know the steps in creating an algorithm. An algorithm is like a predetermined pattern to be followed for a predetermined result. A common algorithm of a rubik's cube is down, left, up, side. Obviously, it is much more complex to solve the rubik's. There are about 5-6 algorithms to follow. Hope this helps. what is an algorithm? is it related to computer programming? What are properties of an algorithm? What mathematics course do I start learning Algorithms in? sorry for asking but I am currently studying computer networking but I do not have the math skills needed yet. So I haven't got the chance to learn about them. How do you write an algorithm to input the price of a text book and then calculate the price and print the total cost of the book after 15% VAT is added? can you explain algorithms and give examples please? Given a problem (i.e. a question, such as "What is 2+2?" or "What are the prime factors of 1729?") an algorithm is a description of a method for a computer to answer that problem. Another way to think of it is that some mathematical proofs (e.g. the proof of the Chinese Remainder Theorem) are "constructive"; they give procedures for calculating the values which satisfy the theorem. Such procedures, if they can be expressed to a computer, are in fact algorithms. what are the properties of an algorithm? Why can algorithms be known as steps? It is because i'm doing a science project which i have to devise an algorithm to figure out a rubiks cube. Is it possible? what is it? Big words. Couldn't it be known just as processes? what is an algorithm? is it different from pseudo-code in any way? I want to know some basic tips how to learn brute force algorithm for biology and something about time complexity. Can any one answer this. I want to learn about algorithms. Can you give detailed information of algorithms? is algorithm really a challenage for me as a programmer? is algorithm really that hard to understand? Can you please tell me which is the course for learning cryptography?? im a commerce graduate and how do i start learning algorithms?? base content for a beginner like me. Please advise. What are the principles of algorithm designs? Why are non-linear algorithms superior to linear ones when working with self-learning optimization? can you give an example of algorithm? what is/are the criteria of an algorithm? ?